I use this for my students every day. They come to me for reading/spelling, then have a 5 minute brain break. Next, they go to my para for math, then have a 5 minute brain break. Last, they complete their independent writing and turn it in. 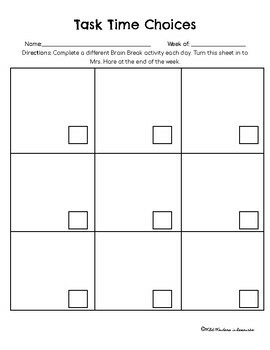 This sheet is turned in every Friday and they are given a 5 point bonus grade for completing their choices properly.